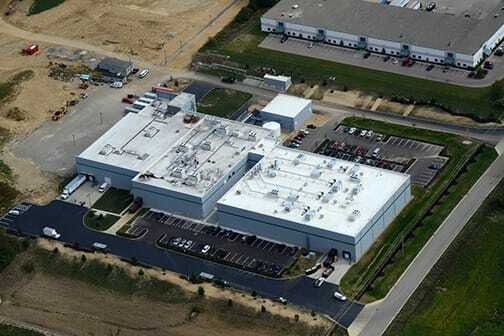 Gilbane managed construction for manufacturing and research and development additions to Mane, Inc.’s campus in Lebanon, OH. Mane, Inc. is a family-owned firm founded in 1871 and headquartered in Bar Sur Loup, France. 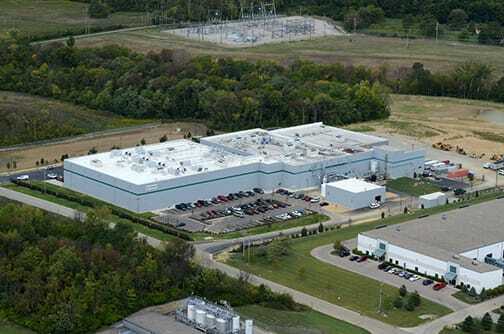 They have more than 1,700 employees worldwide and are a leader in the development of flavorings and fragrances. 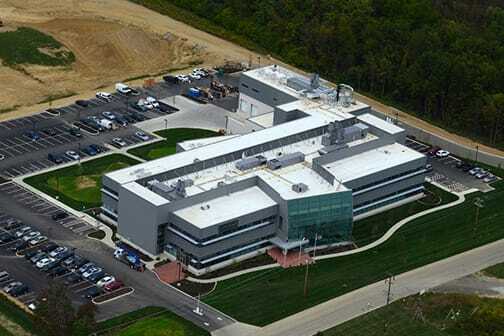 Gilbane recently constructed a new research & development (R&D) facility, manufacturing pilot plant, and administration facility at Mane’s new U.S. headquarters campus in Lebanon, Ohio. This facility replaces their old campus in Milford, Ohio. The new campus now employs more than 200 people; 127 of which are new jobs created in Lebanon as a result of the new facility. The two-story buildings have a structural steel frame with slab-on-metal deck system, combined with a steel framed and pre-cast deck pilot plant addition. The exterior stud frame and curtain wall feature an architectural “bubble” glass feature wall at the main entrance. 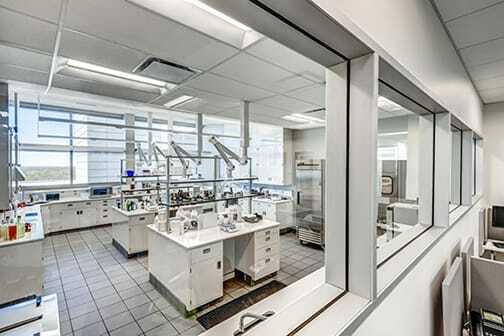 In addition to multiple, multi-use lab spaces, there are many high-end items that were utilized for the fit-out, such as LED light fixtures, glass bottle windows, ornamental stairways, and an intricate, Epoxy Terrazzo floor system. The pilot plant facilitates the creation of new techniques in developing flavoring products. The campus is a combination of research and development, manufacturing and administrative spaces. As a national headquarters facility, it was designed and constructed with two different mindsets: one more focused on function and ability, while the other is more focused on the finishes and final appearance. Speed to market was a key driver of the success of the project. The procurement schedule was very aggressive, and since Gilbane was brought in after the design was complete, we were tasked with an aggressive completion date. As the finishes are very high-end and carry extensive lead times, the purchase of trade contracts, immediate submittal and buyout was Mane, Inc.’s first priority. -Brad Kelley, Vice President – Operations, Mane, Inc.